Mondays, Wednesdays and Fridays at 11 am. Free. Donations accepted to support local charities including Advocates of Ozaukee County and the Ozaukee County Humane Society. Limited to 10 participants. 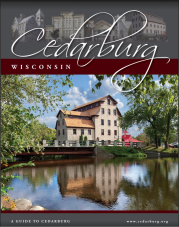 To signup, go to https://pulsecedarburg.com and select Schedule.